Packaging is the major generator of plastic waste, responsible for almost half of the global total. It’s important to pick a 3PL that shares your values on avoiding plastic packaging from the start. 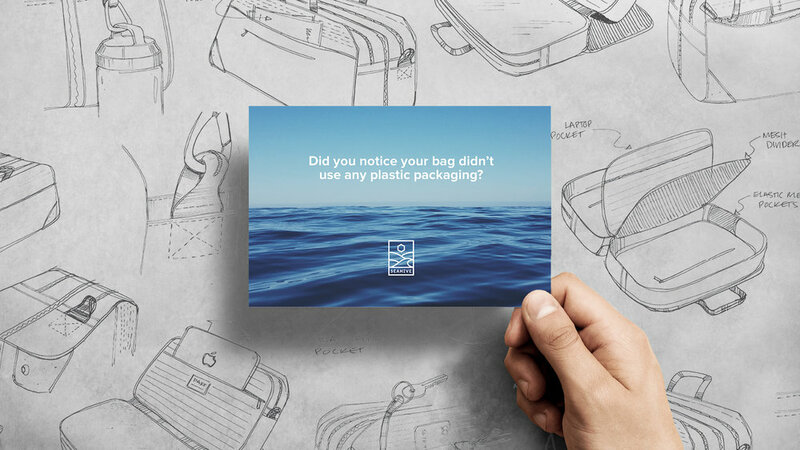 You’ll have a much smoother experience getting your product to customers if communication is strong and everyone is on board with packing and shipping plastic-free. The front of our educational insert, which seemed a bit like a joke when plastic was thrown in. Every 3PL will tell you they can avoid plastic for your products because they want your business. The reality is that warehouses have a lot of clients and there is high staff turnover. We experienced this with our first 3PL when they intermittently added plastic air pockets to boxes on accident. Pakt customers were pretty confused seeing the educational inserts reading “Did you notice your bag didn’t use any plastic packaging?” after removing the snake of plastic pillows from the package. After this mess and a few other challenges we decided to switch our 3PL. If you want to make sure you never have any slip-ups you can seek out a company that doesn’t use any plastic at all. If you’d like a recommendation, just send us a message. A Pakt customer posted on socials that she got something rather unpleasant along with her bag. If they aren’t a plastic-free 3PL make sure they can meet your requirements prior to agreeing to do business. This may mean a dedicated plastic-free zone or table in the warehouse and consistent training for employees. We even bought our own paper tape machines for our first 3PL in hopes that would help. Tour all the 3PLs you are considering to fully understand how they will keep their promise of plastic-free packaging before you make a decision. There will always be challenges in shipping products but not having to worry if your products are arriving plastic-free will take a lot of stress out of the process.